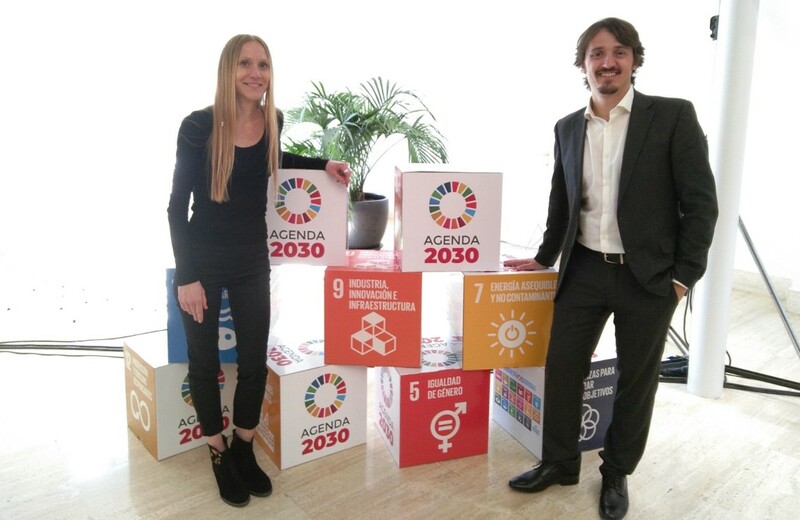 Written by Anna May Masnou on 23 April 2019 . 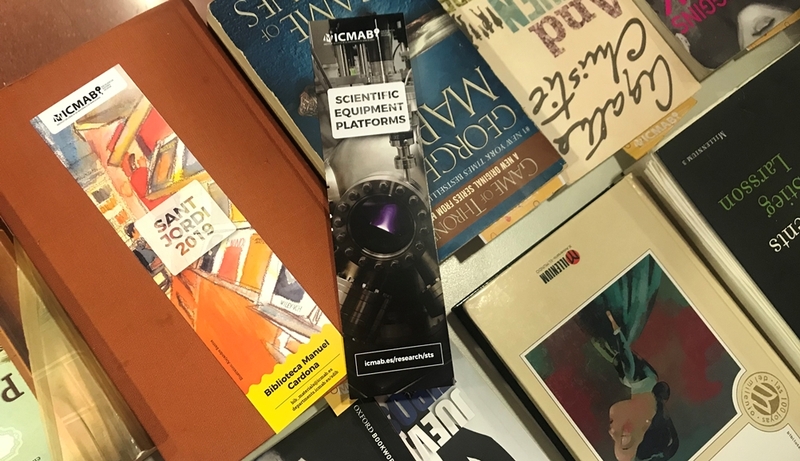 At the Institute of Materials Science of Barcelona (ICMAB) we celebrate Sant Jordi 2019with the second edition of the Book Exchange. This year, we also included two bookmarks to give as a souvenir to all our staff. Written by Anna May Masnou on 17 April 2019 . 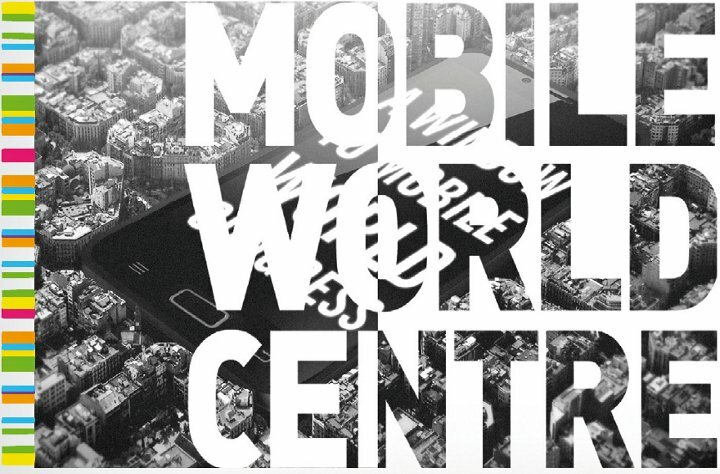 Written by Anna May Masnou on 15 April 2019 . Written by Anna May Masnou on 05 April 2019 . 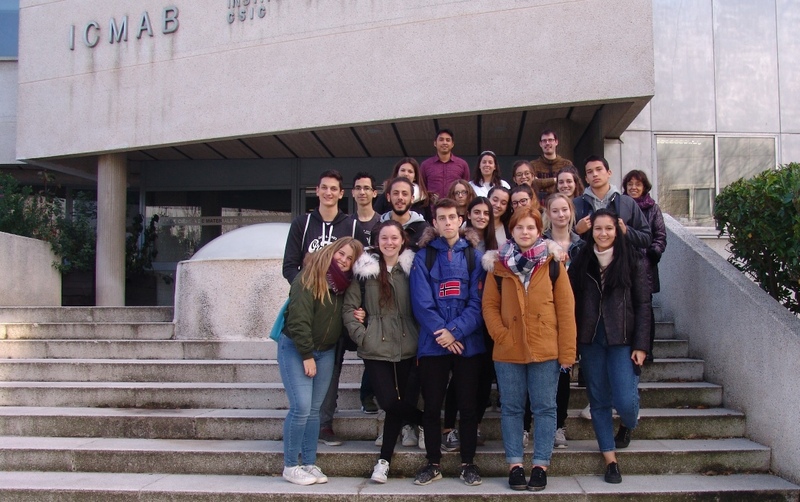 On Wednesday, 27 March 2019, we received the visit of Engineering Undergraduate students from the Escola Universitària Salesiana de Sarrià (EUSS) (Salesian University School of Sarrià). 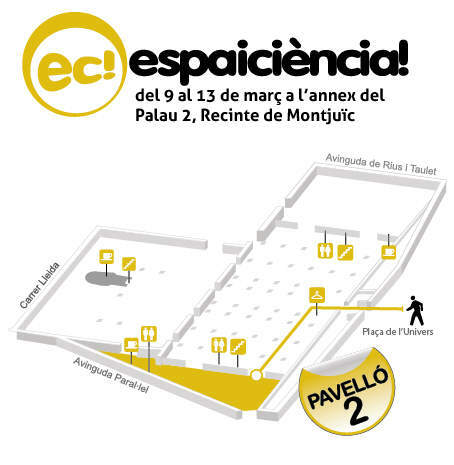 The EUSS is a center afiliated to the UAB created in 1994 and located in Barcelona. 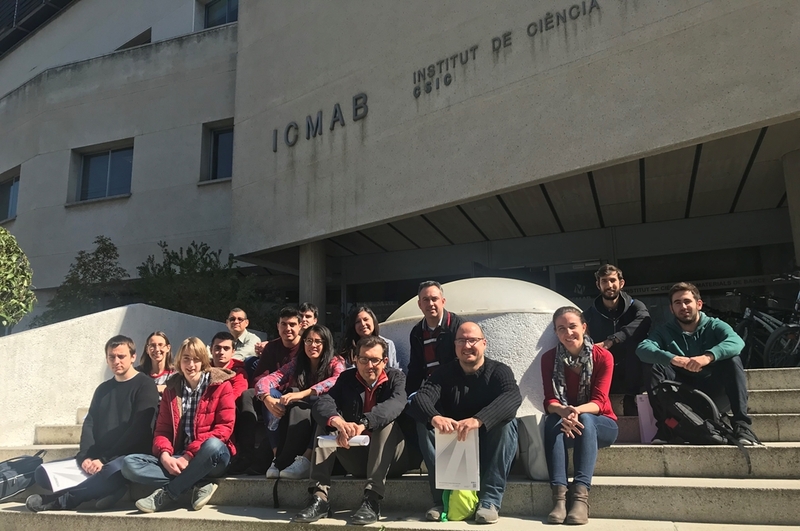 Xavier Obradors gave a first overview to the ICMAB research and then the students could visit some of our labs. Written by Anna May Masnou on 02 April 2019 . 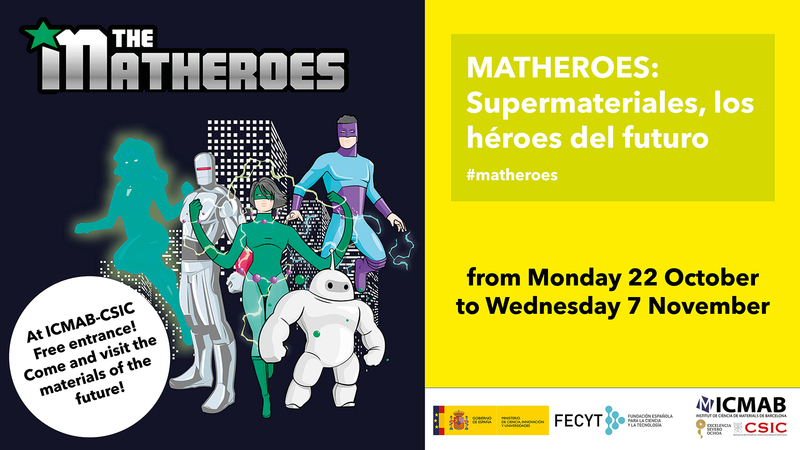 On Friday, 29 March 2019, the "Matheroes: Supermaterials, the materials of the future" were presented for a school class of students aged 11-12 (6è Primària) from Sabadell in the Ponent Library in Sabadell (Biblioteca de Ponent). 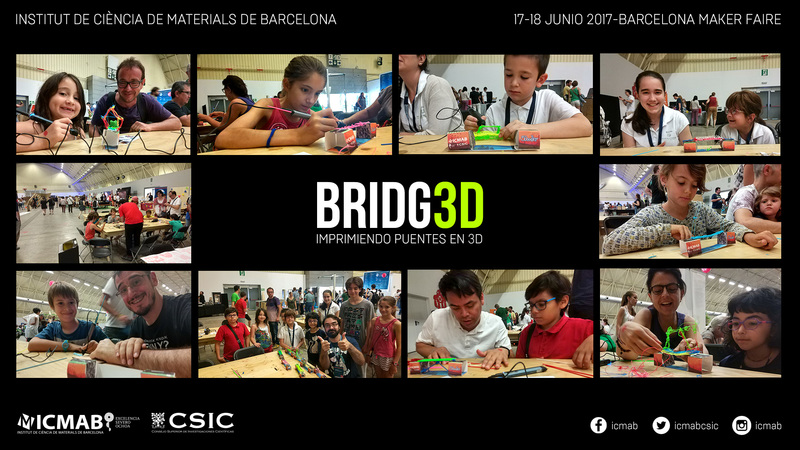 Núria Crivillers, Juan-Luís García-Pomar and Anna May Masnou, presented some of the supermaterials and their properties and applications. 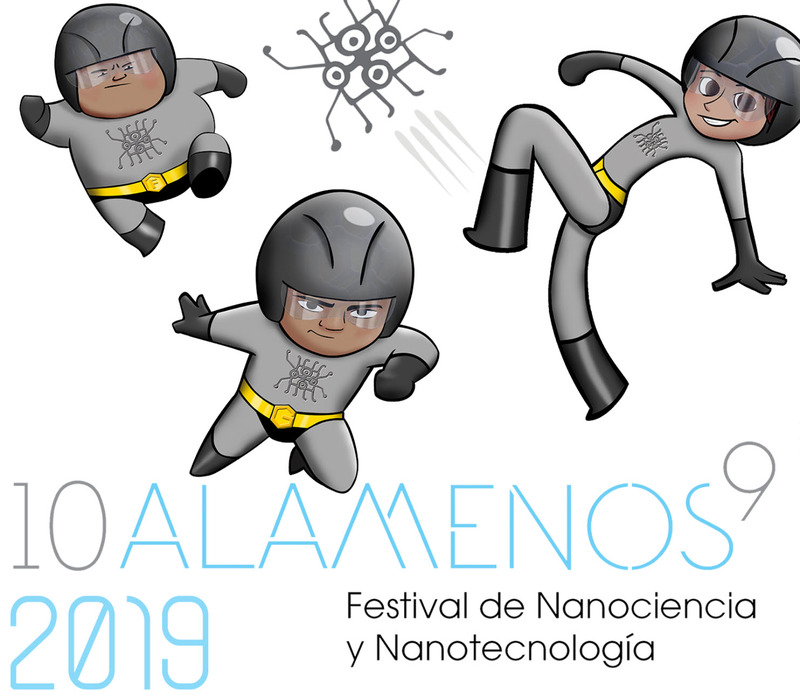 Watch here the conference by Xavier Obradors "Els nanomaterials per a la transició energètica"
Written by Anna May Masnou on 15 February 2019 . 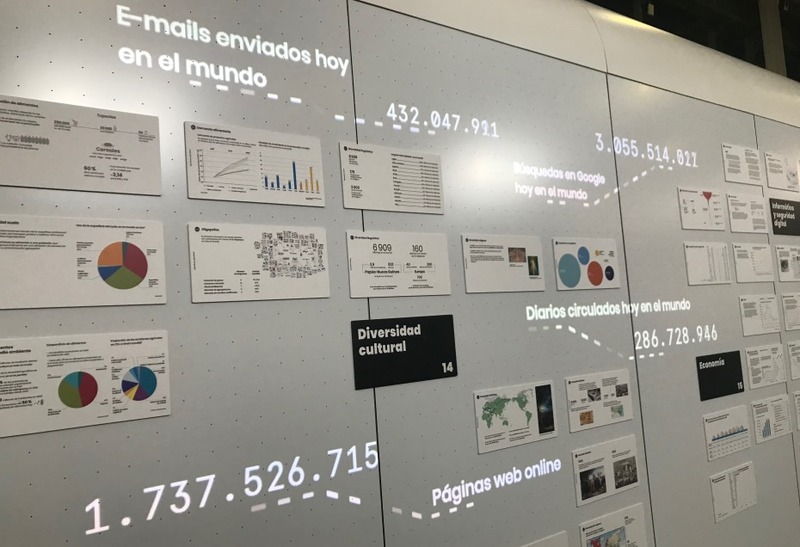 Written by Anna May Masnou on 13 February 2019 . 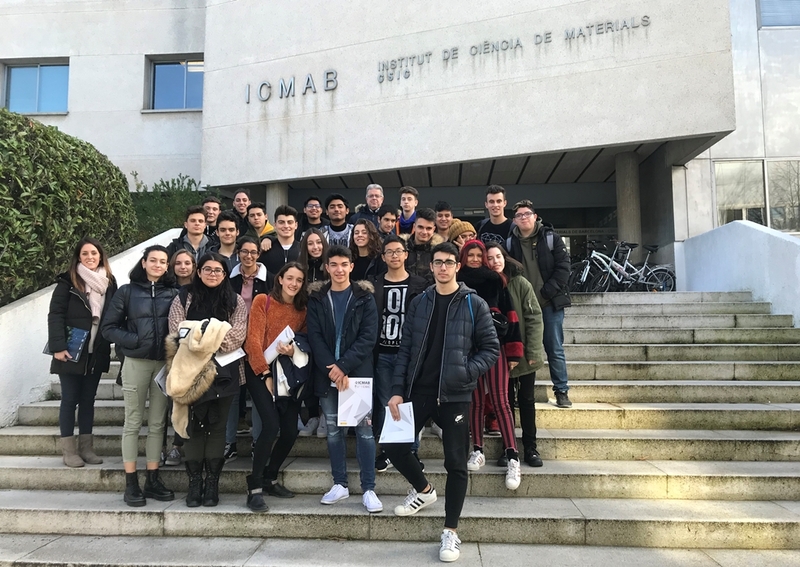 On Friday, 1 February 2019, students from the Centre d'Estudis Roca school, in Barcelona, came to the ICMAB to discover the materials of the future in solar energy! 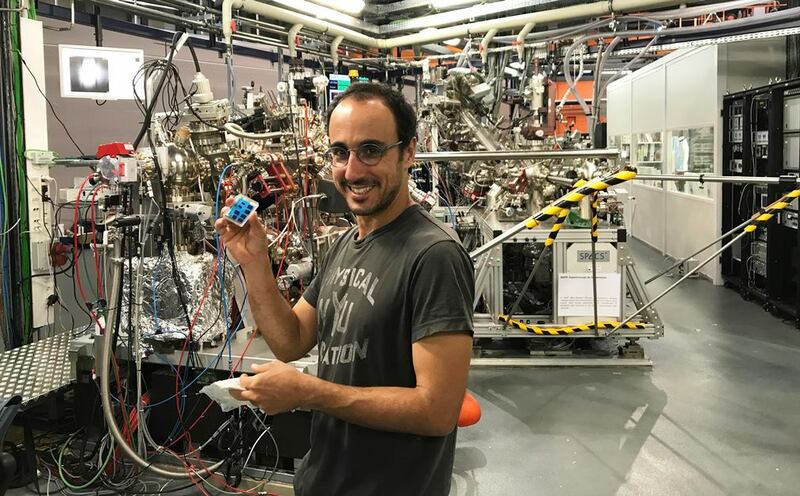 The visit consisted in a first talk from Mariano Campoy-Quiles, researcher at the ICMAB, followed by a visit to four different labs: SEM, XRD, AFM and NANOPTO labs. 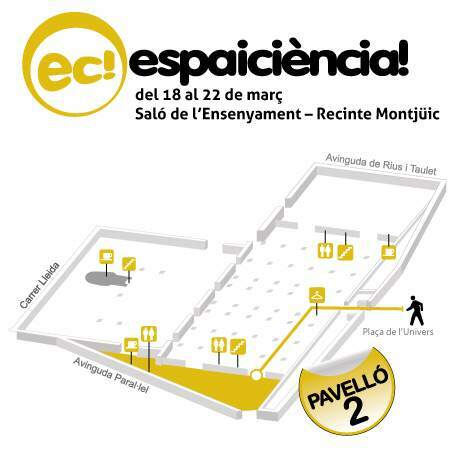 The visit is in the framework of the ESCOLAB programme of the Ajuntament de Barcelona. Written by jags on 29 January 2019 . A broad and comprehensive review on thermoelectric materials has been published in "Materials Science and Engineering: R: Reports", a monthly peer-reviewed scientific journal published by Elsevier established in 1993 with an impact factor of more than 25! 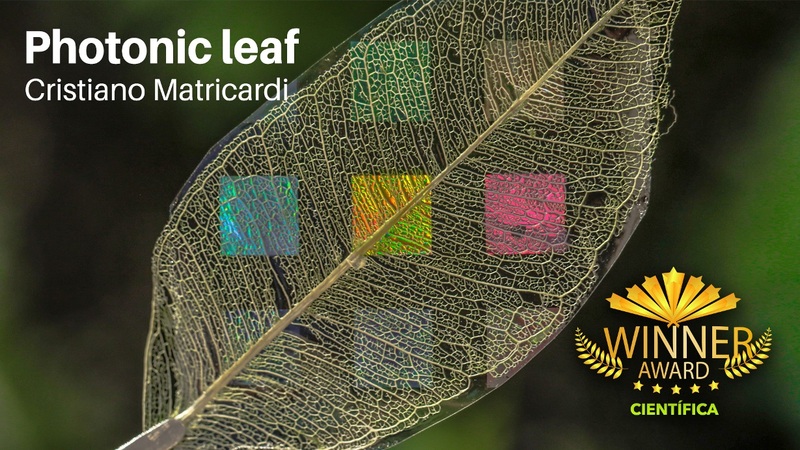 The review, with 47 pages, includes the participation of Mariano Campoy-Quiles and Bernhard Dörling from the ICMAB-CSIC, and 12 more institutions around the world (Italy, USA, UK, Germany, Sweden and Spain). Written by jags on 17 January 2019 . 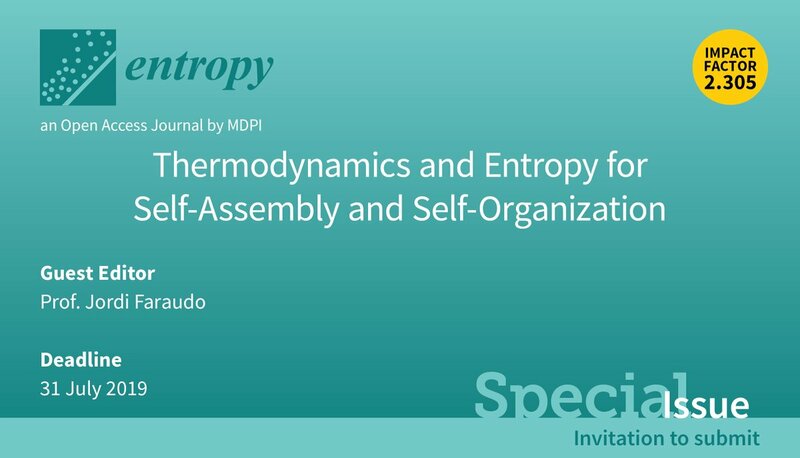 Jordi Faraudo, researcher at the Materials Simulation and Theory Department from ICMAB, is the Guest Editor of this Special Issue of the MDPI Entropy journal devoted to "Thermodynamics and Entropy for Self-Assembly and Self-Organization". The Deadline for manuscripts submissions is 31 July 2019. 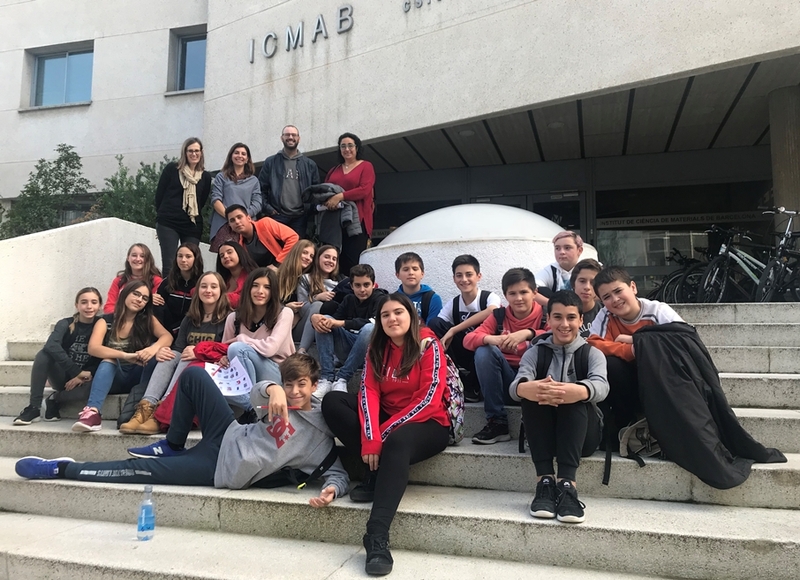 Within the programme "A researcher in your classroom" (Un investigador a la teva aula), researchers from the ICMAB can spend a class at one secondary or primary school and show the students what it is like to be a scientist and the research in nanomaterials performed at our Institute. Written by Anna May Masnou on 20 December 2018 . 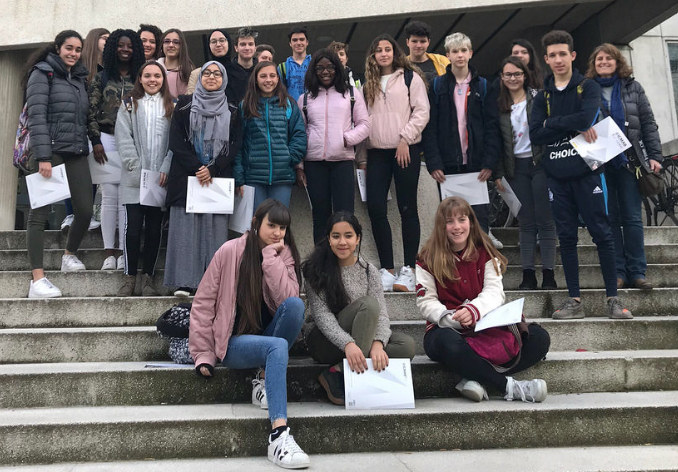 On Friday, 14 December 2018, 25 secondary school students from the "Escola Vedruna Gràcia" visited the ICMAB thanks to the ESCOLAB programme. The students, all from the scientific branch, could enjoy a talk on "Nanomaterials for nanomedicine" by Anna Laromaine, from the NN group, and then visiti some of our Scientific Services. 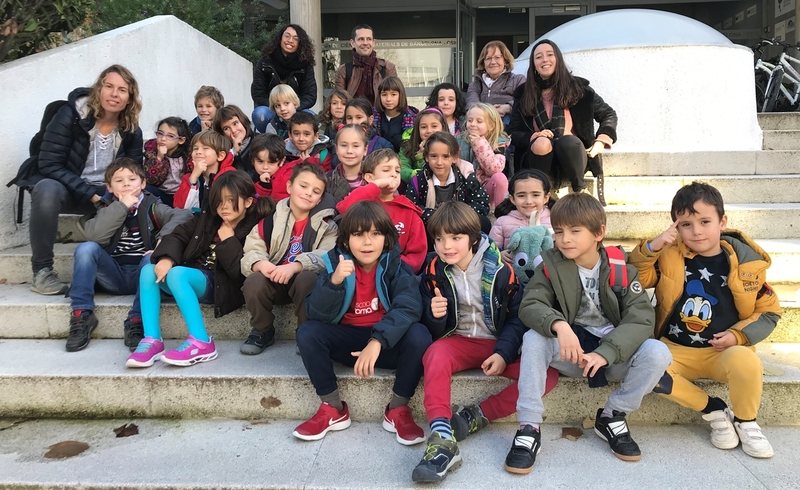 Six-year old "scientists" from Sabadell enjoy the visit at ICMAB! Written by Anna May Masnou on 11 December 2018 . 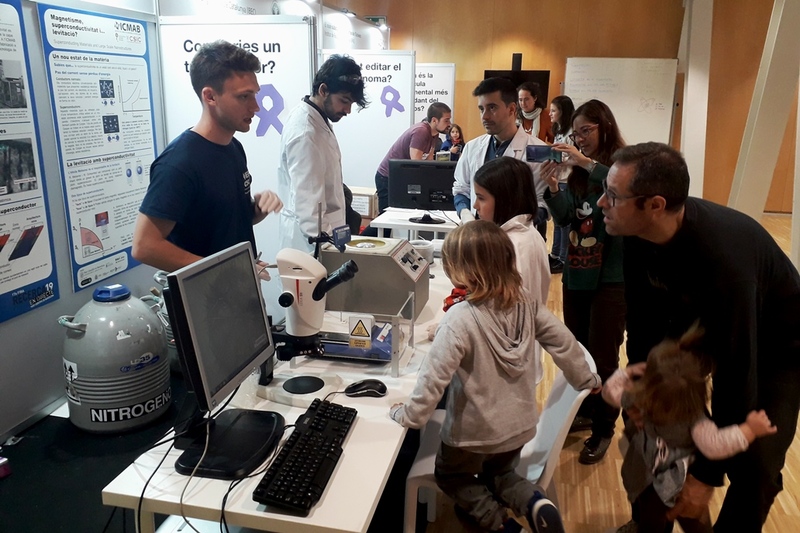 On Tuesday, 27 November 2018, we had a very special visit in our Institute: "the scientists" class formed by 24 six-year old students from "La Trama" school in Sabadell visited us. It was a fantastic visit. 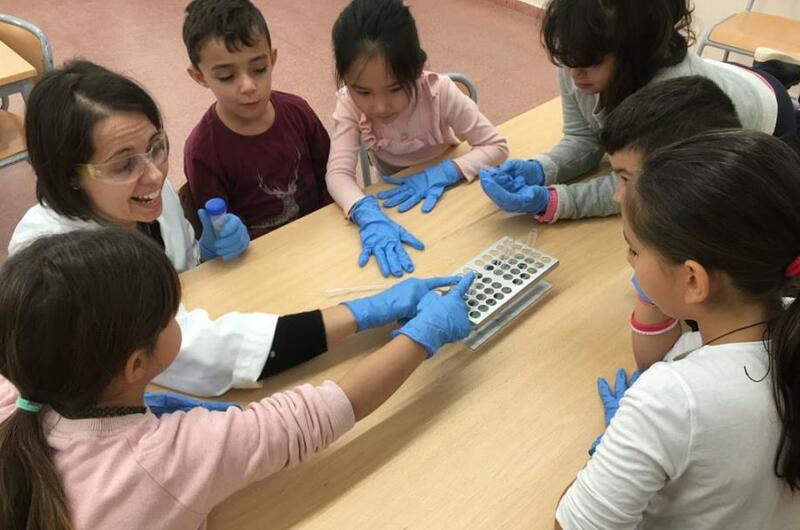 All the kids were very happy to become real scientists for a day, and to visit the laboratories, the clean room, the glove boxes, the microscopes and even to perform an X-ray diffraction experiment to discover what is sand made of. 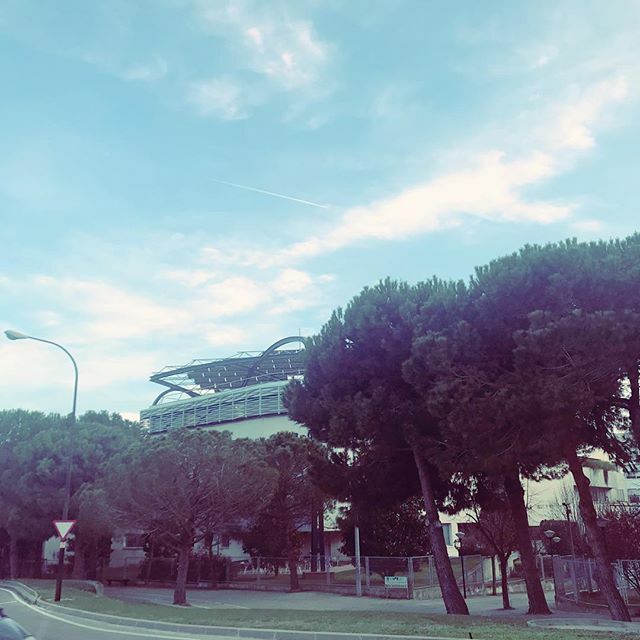 Written by Anna May Masnou on 10 December 2018 . 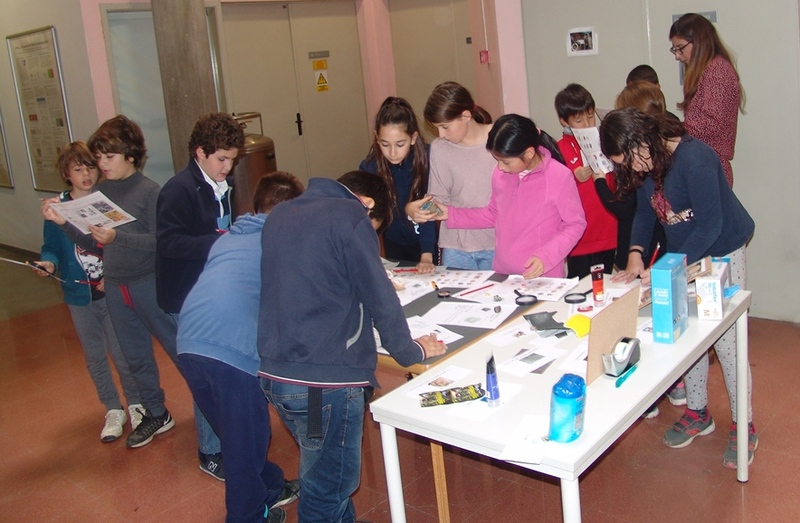 During two mornings, 12 and 13 November 2018, the ICMAB hosted the workshop for secondary school students "Become a materials detective" (Converteix-te en un detectiu de materials) to celebrate the Science Week 2018. 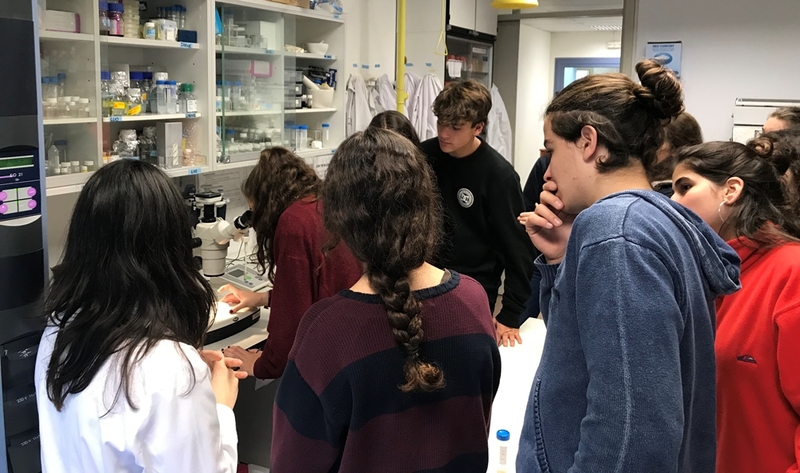 Four classes of 2nd ESO from the IES Vallès (Sabadell) came to ICMAB by train and became scientists for a day. 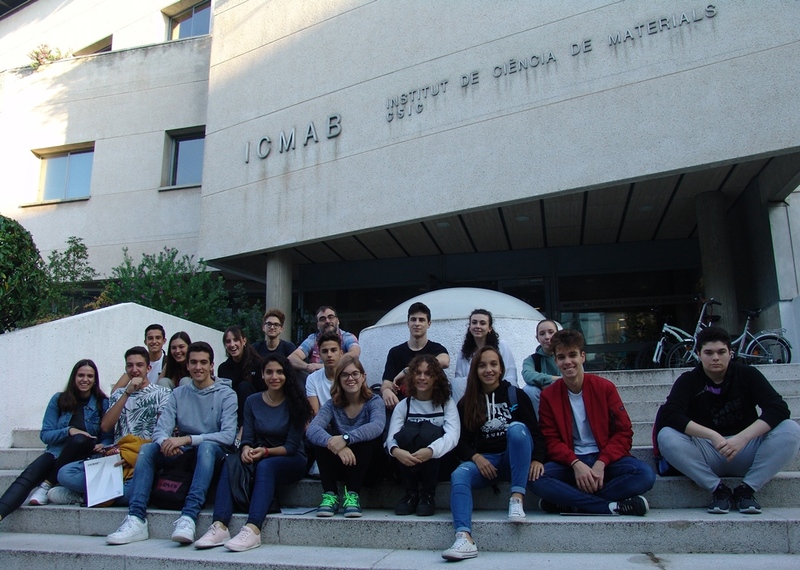 Students from Lleida visit the ICMAB and the Matheroes! Written by Anna May Masnou on 05 December 2018 . 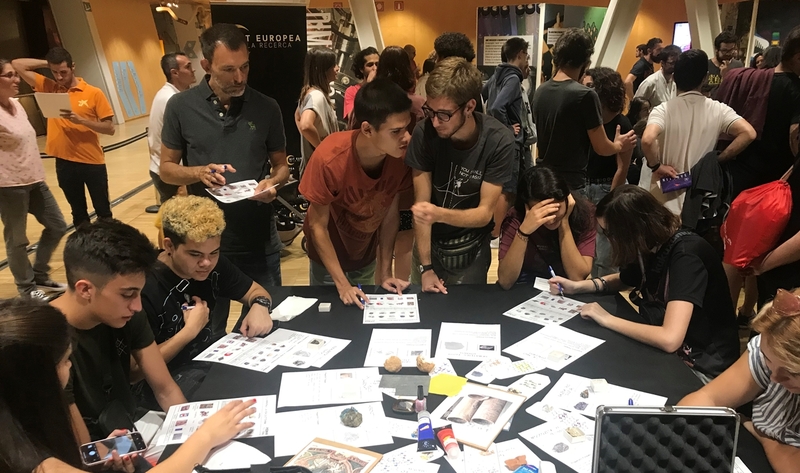 On Thursday 25 October, the students from 2n BTX from the "Col·legi Maristes de Montserrat" (Lleida) took the bus and came to our center to spend an afternoon learning about nanotechnology and supermaterials! 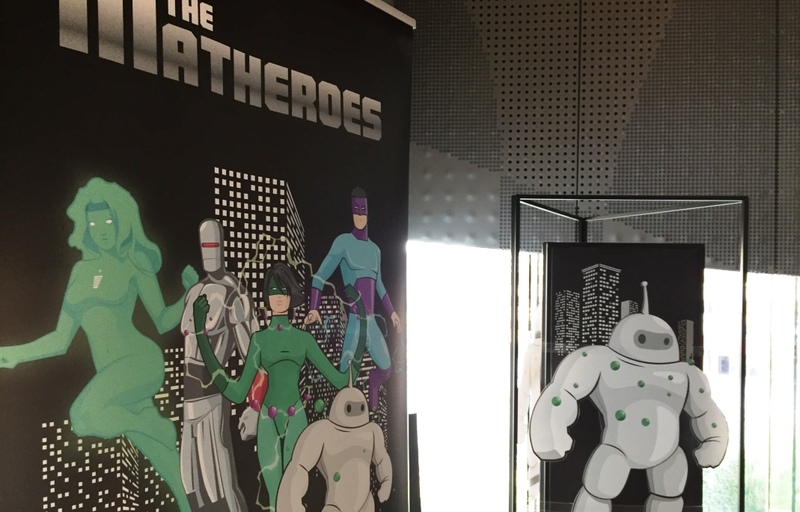 They could enjoy the visit of the "Matheroes" exhibition, a talk from one of our researchers, and a visit to our installations. 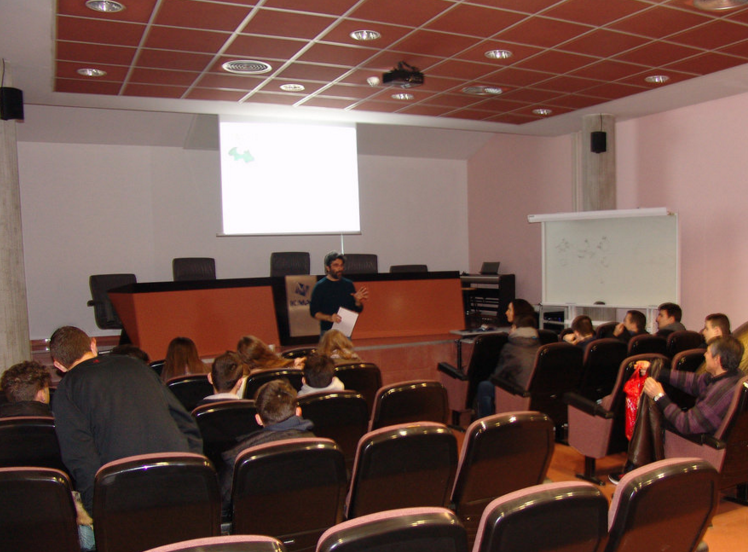 Arántzazu González, Ramon y Cajal researcher at ICMAB and participant of the program "A Researcher in your classroom" was at two primary schools in November, in the framework of the "Science Week" to show the students what is a scientist and what type of research we do at the ICMAB. A new book has just been released to the market. It is a science book about light, but not just that, it is a book about experiments to play with light "Descubriendo la luz: experimentos divertidos de óptica". 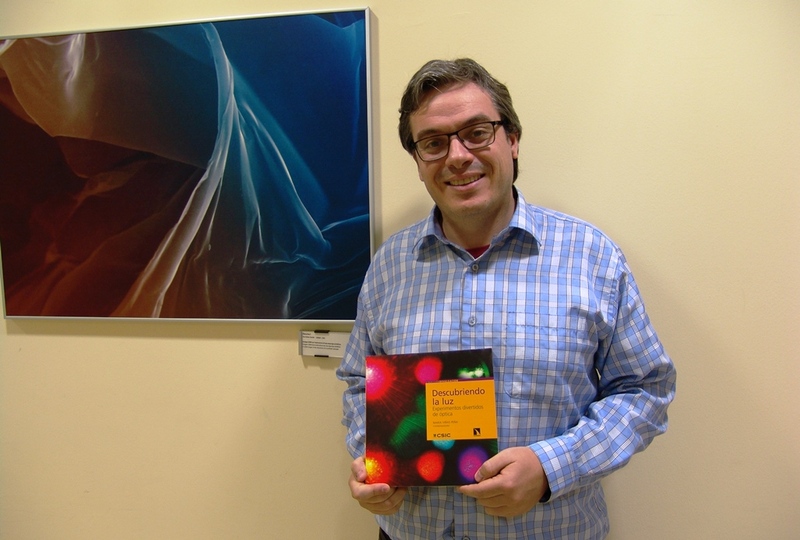 Juan Luís García Pomar, researcher at ICMAB, is co-author of the book.. We have interviewed him to know more about the book and the interesting optical phenomena associated, such as invisibility! If you want to know more, continue reading! 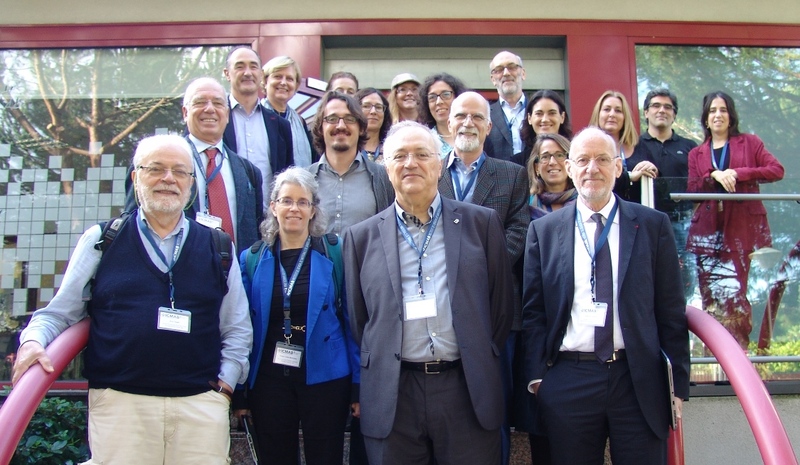 On 15-16 November 2018, the members of the ICMAB Scientific Advisory Board (SAB) visited our Institute to scientifically evaluate the research lines and the overall performance of the Institute. 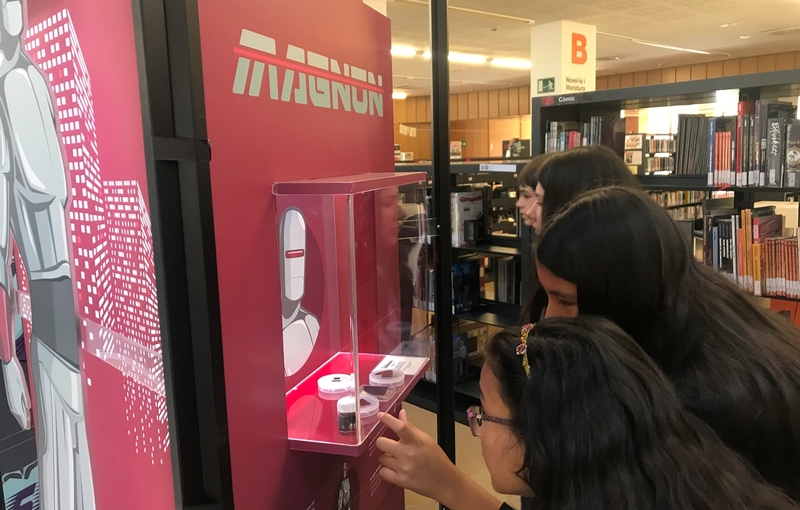 In this year's visit, three research lines were evaluated: RL2: Superconductors for power applications; RL4: Molecular electronics; and RL5: Multifunctional nanostructured biomaterials. Written by Anna May Masnou on 07 November 2018 . 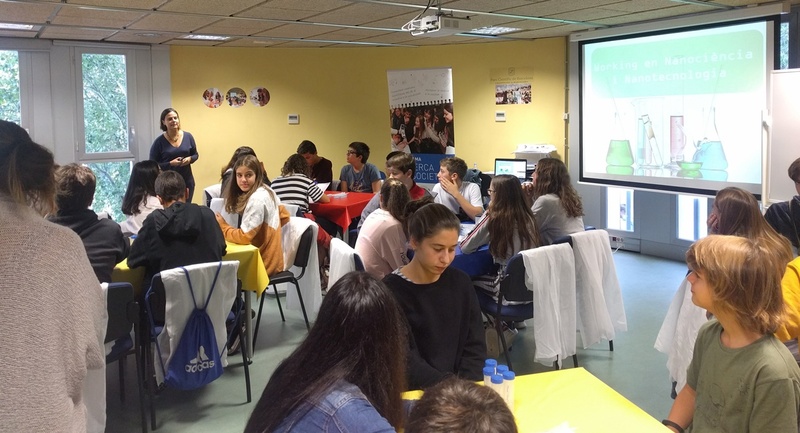 The programme A researcher in your classroom "Un investigador a la teva aula" brought Imma Ratera, researcher at the NANOMOL group, to the secondary highschool INS Alba del Vallès, in Sant Fost de Campsentelles (Vallès Oriental). Written by Anna May Masnou on 29 August 2018 . 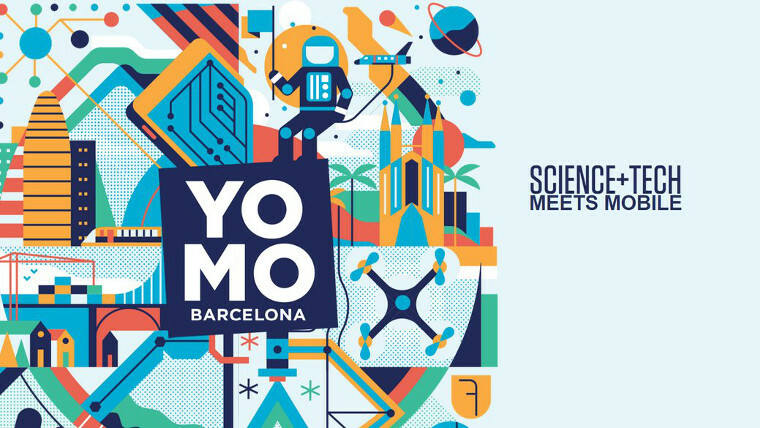 The "Societat Catalana de Química" (SCQ-IEC) organizes every year the contest on the best research chemistry projects for secondary school students (Premis als Treballs de Recerca de Batxillerat dins l'Àmbit de la Química). 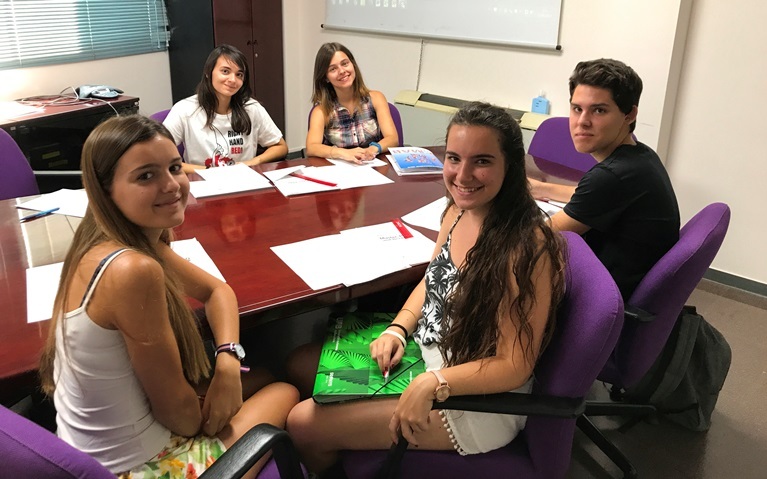 The award for the finalist students is a two-week scientific internship in a Catalan research center or university during July 2018. Written by Anna May Masnou on 25 July 2018 . 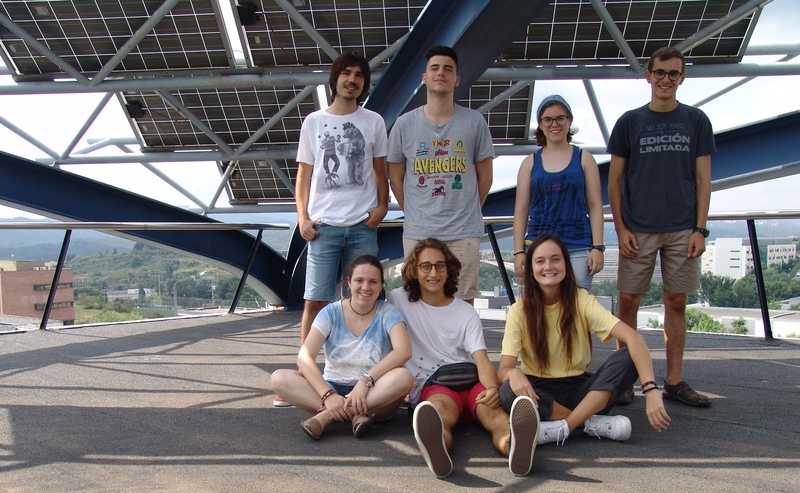 This year the ICMAB hosted seven (7) students from the program "Joves i Ciència" from Fundació Catalunya La Pedrera: Roger, Pilar, Antoni, Pere, Mariona, Anastasia and Arnau.They came to our Institute to do some research stays with some of our researchers, in the fields of spintronics, solar cells, superconducting materials, porous materials for energy, sustainable chemistry and crystallography. Written by Anna May Masnou on 14 July 2018 . 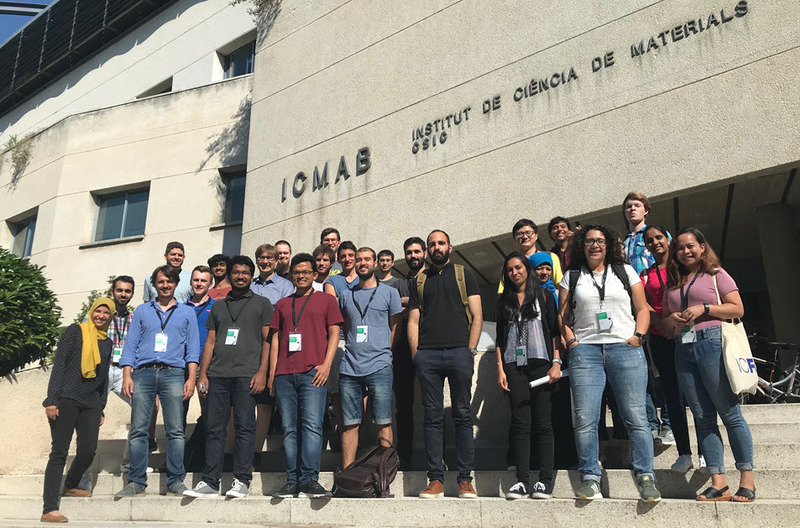 The ICMAB hosted this year four students from the UAB Argó Program, from June 25 until July 11, 2018. 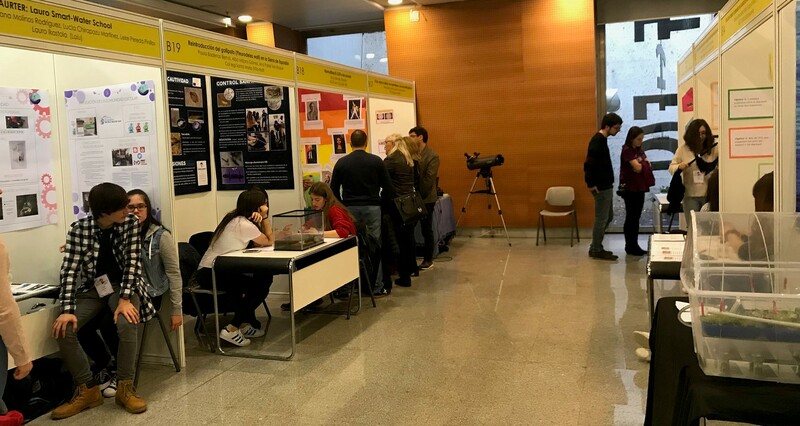 During their final day they presented their projects on "Synthesis and characterization of gold nanoparticles" and "Synthesis and characterization of an oxide thin film", which they carried out in our Scientific Platforms with the help of many of our technicians and research staff. Written by Anna May Masnou on 10 July 2018 . On Thursday, 5 July, the students participating at the ICFO School on Emerging Photovoltaics (2-6 July 2018) came to ICMAB from 3 to 6 pm to visit our research labs. 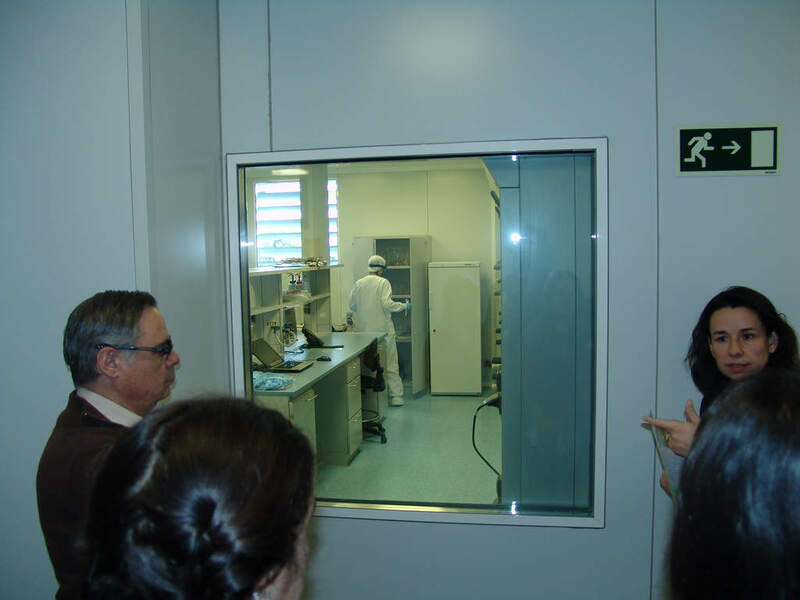 The ICMAB researchers and PhD fellows guided the participants through the different labs and explained them the research performed in our Institute on photovoltaics, including organic solar cells, photonic crystals, perovskites, and oxide photovoltaic materials, and the equipment and facilities for materials characterization. Written by Anna May Masnou on 07 July 2018 . 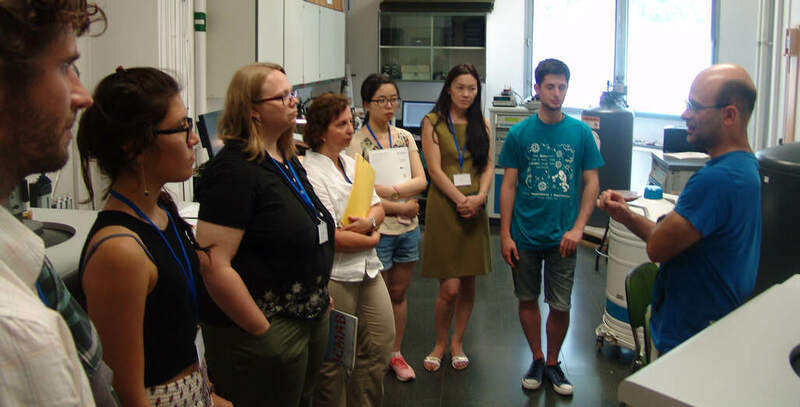 On Wednesday, 30 May 2018, the ICMAB received the visit of the students belonging to the University Program FUB+GRAN, organized by the Fundació Universitària del Bages (UViC-UCC). The students of this program are all over 55 years old, and they all are curious minds and interested about all different kind of topics. Written by Anna May Masnou on 27 June 2018 . 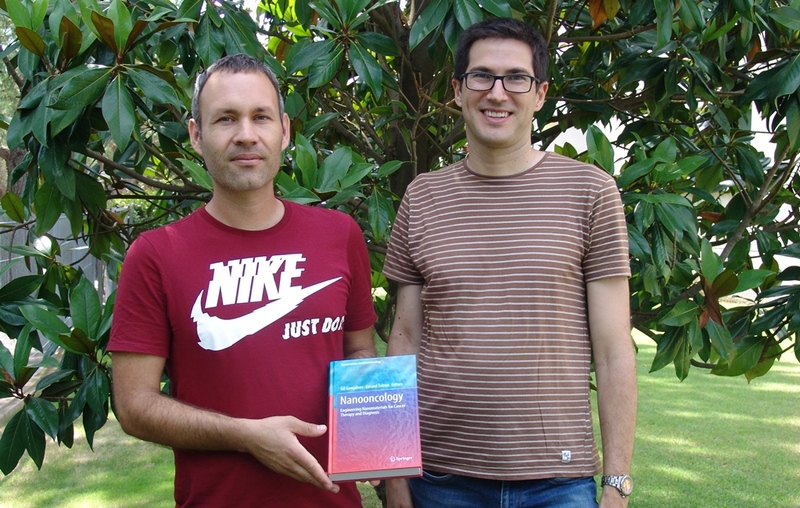 The ICMAB reserarchers Gil Gonçalves and Gerard Tobias are the editors of one of the most recent Springer books, Nanooncology: Engineering Nanomaterials for Cancer Therapy and Diagnosis. 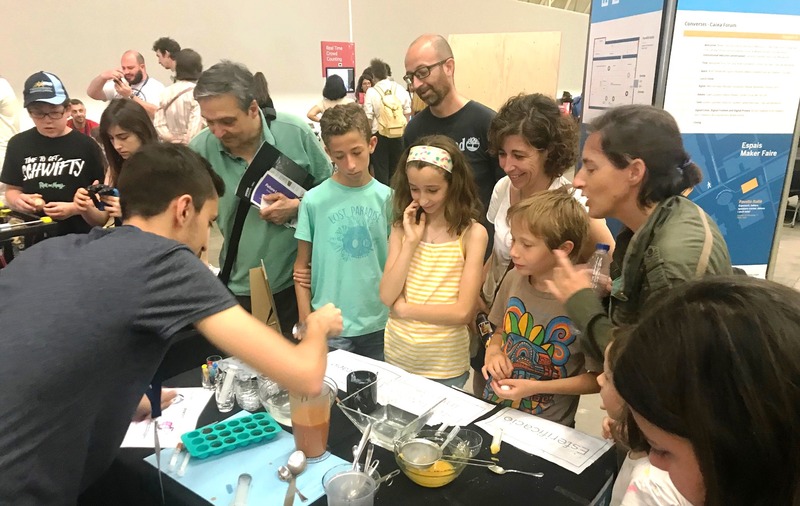 The Fundació Catalunya La Pedrera has developed the program "Bojos per la Ciència" to open the doors of the most relevant research institutes to the most excellent secondary school students. 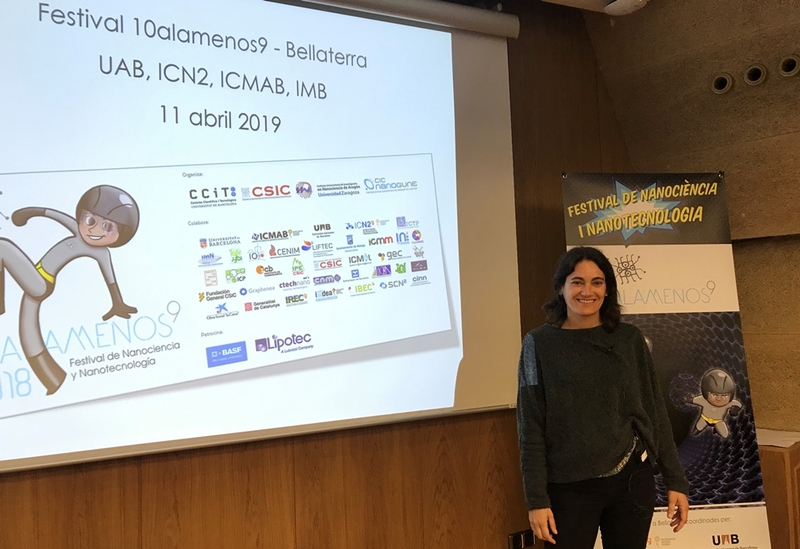 ICMAB joined in 2017 ICN2, IFAE and UAB for the second edition of "Bojos per la Física" and continued this year within this program, which has been a real success. Written by Anna May Masnou on 28 May 2018 . 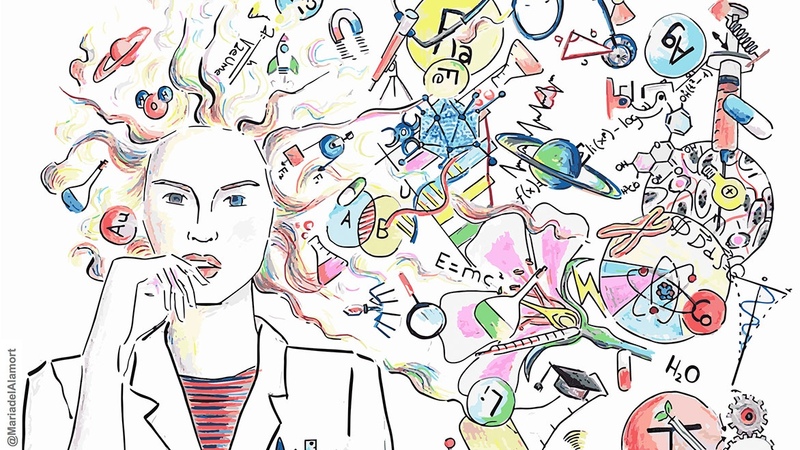 Why do students from an Art and Design University are interested in science? Well, why not? 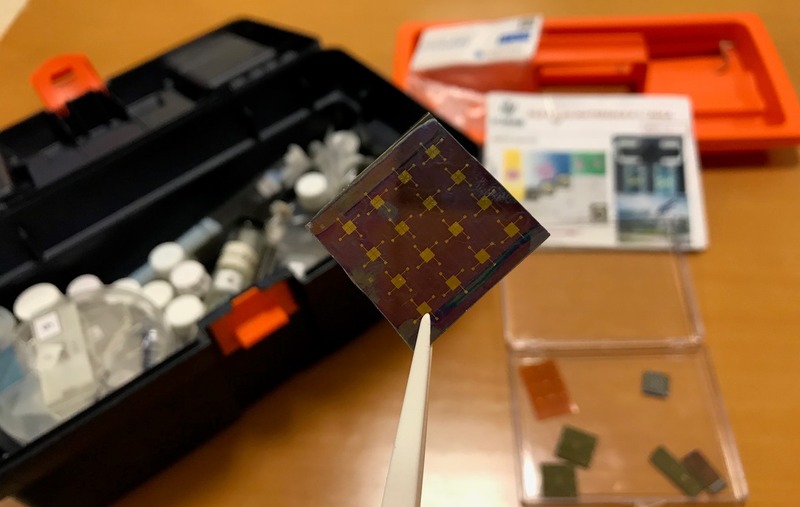 New research in materials science will have a great influence in our future devices, electronic devices, tools, objects... Materials science is everywhere! 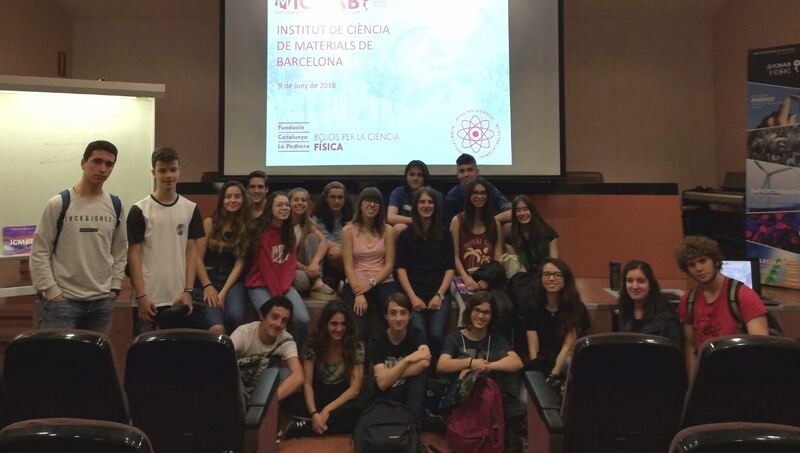 The students from EINA - Centre Universitari de Disseny i Art de Barcelona had the chance to have researcher Marta Mas-Torrent, from the NANOMOL group at ICMAB, showing the research in materials science of our Institute through the program "A researcher in your classroom" (Un investigador a la teva aula) on May 16, 2018. Written by Anna May Masnou on 02 May 2018 . From 11 May 2018, the book from Wiley Editors "Boron-Based Compounds: Potential and Emerging Applications in Medicine", which is focused on the medical applications of boron-based compounds, will be available. Prof. Clara Viñas is one of the co-editors of the book, together with Prof. Evamarie Hey-Hawkins (Leipzig University). 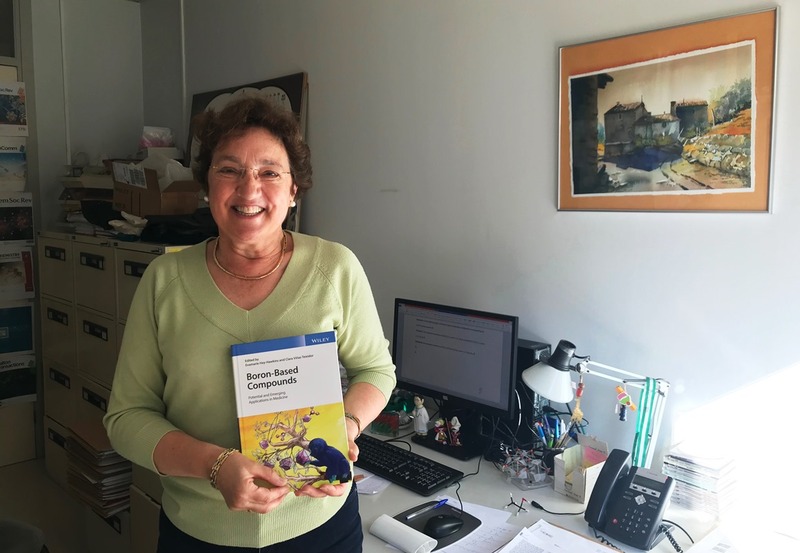 In additon, both Prof. Clara Viñas and Prof. Francesc Teixidor have contributed to the book with a chapter on "Cobaltabisdicarbollide‐based Synthetic Vesicles: From Biological Interaction to in vivo Imaging". Written by Anna May Masnou on 04 April 2018 . 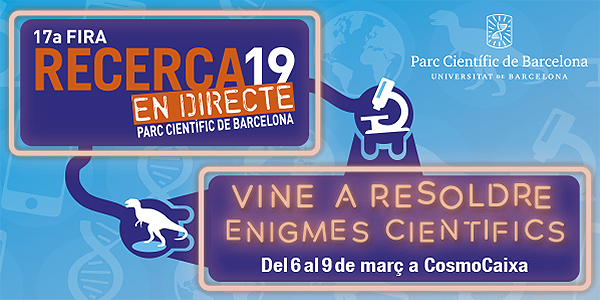 The program "A researcher in your classroom" brought Prof. Anna Roig to Lliçà d'Amunt, at Institut Lliçà (Tuesday, 3 February), and Dr. Agustín Mihi to Institut Dr. Puigvert de Sant Andreu in Barcelona (Wednesday, 4 February). 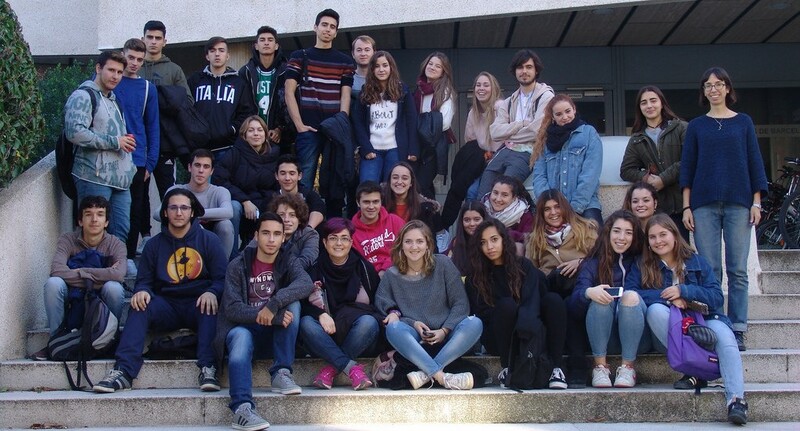 Both audiences were secondary school students of 4t ESO. Two of our researchers, Dr. Esther Barrena, from the Physical Chemistry of Surfaces and Interfaces group, and Dr. Stefania Sandoval, from the Solid State Chemistry Group, went to two secondary schoolin the framework of the International Day of Women and Girls in Science (11F) and within the program "A researcher in your classroom" (Un investigador a la teva aula), to give two seminars on new materials for the future. Written by Anna May Masnou on 09 March 2018 . 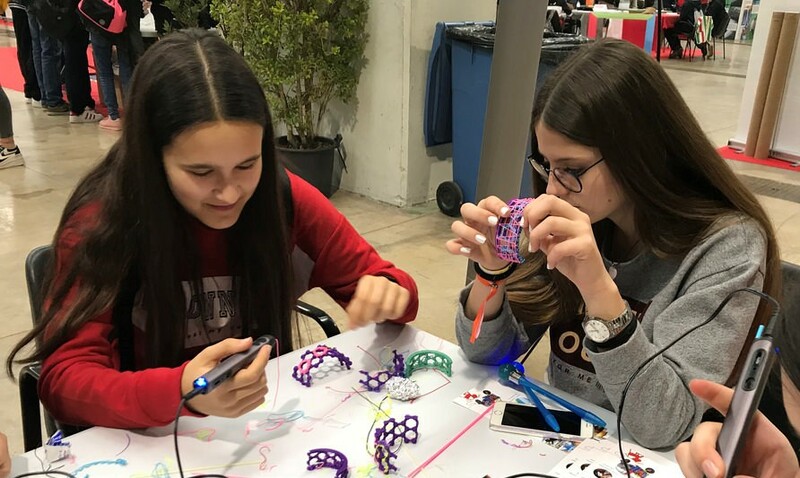 On Friday, March 9 2018, one day after the International Women's Day, the students from 2n BTX of the high school Infanta Isabelin Barcelona visited our Institute. 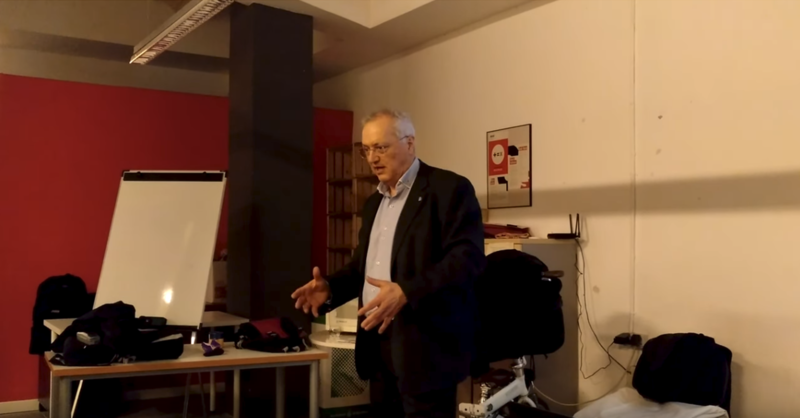 A surprise awaited them: instead of having the usual seminar from one of our researchers, they had 12 researchers from the Institute waiting from them. But this 12 women did not give them a talk. 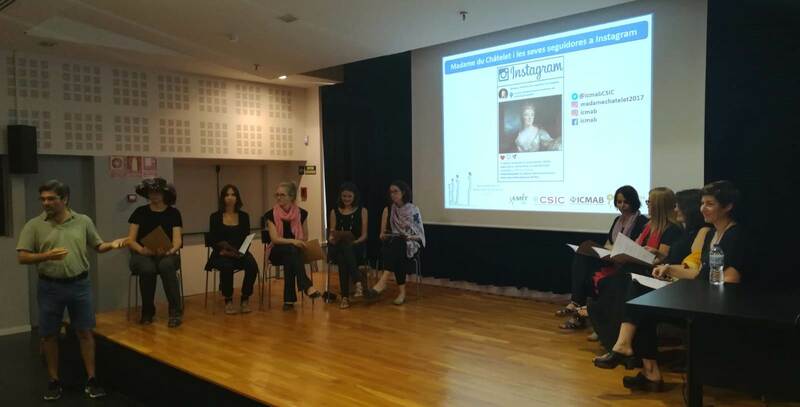 Instead, they represented the play "Madame Châtelet and her Instagram followers". Written by Anna May Masnou on 16 February 2018 . 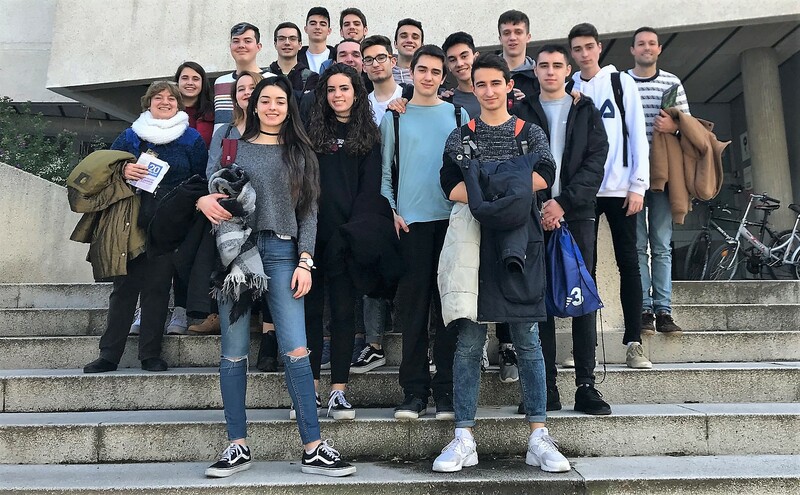 On Friday, 16 February, we received the visit of a class of 1st BTX students from Institut Joaquima Pla i Farreras (Sant Cugat) who came to learn about "The nanomaterials of the future for energy" and, particularly, those for batteries. 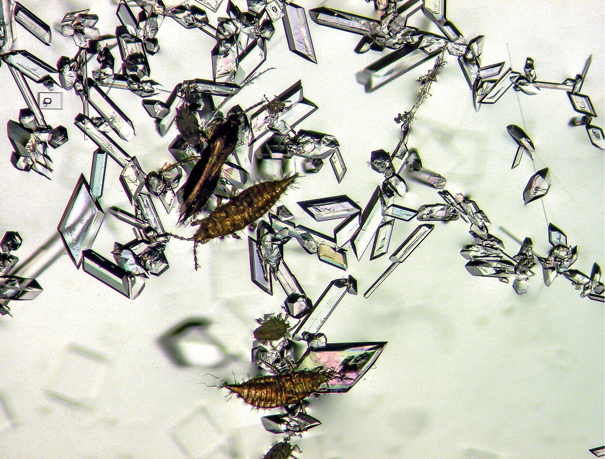 Dr. Dino Tonti, from the Solid State Chemistry Group, gave a talk on nanotechnology, materials for energy and focused on batteries, and on his research on lithium and sodium batteries. Written by Anna May Masnou on 19 January 2018 . 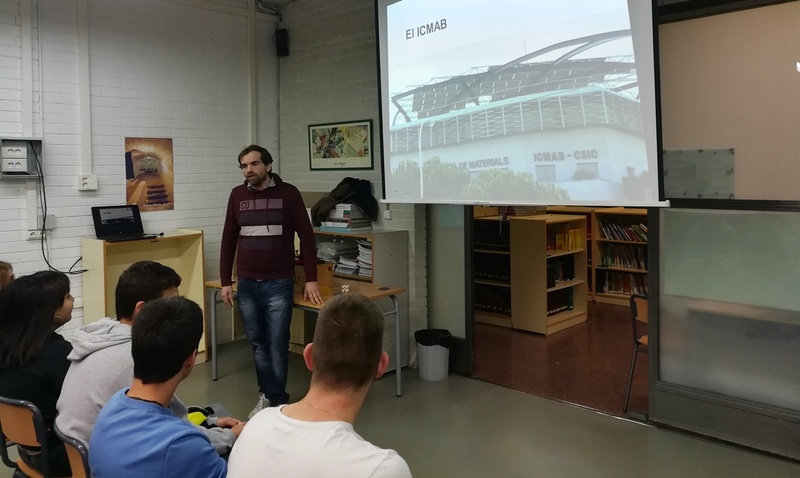 On 19 January 2018 we received the visit of a group of highschool students from Institut Castellbisbal. 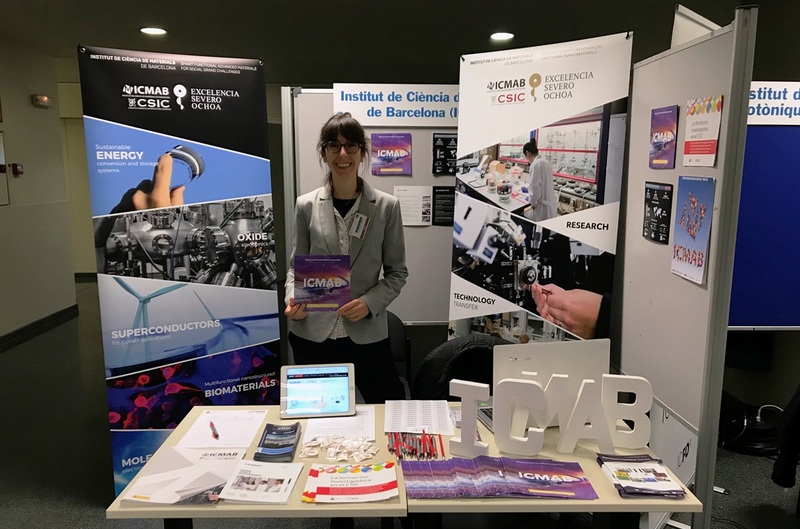 The students listened first to our Communication and Outreach Officer, who welcomed them and explained them where they were and the work we do at ICMAB, and then to a seminar on "The materials of the future for nanomedicine" given by Dr. Judith Guasch, from the NANOMOL group. The seminar was followed by a visit to four of our laboratories: X-ray diffraction, AFM, SoftLab and the lab of Dr. Judith Guasch. Written by Anna May Masnou on 20 December 2017 . Written by Anna May Masnou on 05 December 2017 . Written by Anna May Masnou on 30 November 2017 . Written by Anna May Masnou on 29 November 2017 . Written by jags on 15 November 2017 . Written by Anna May Masnou on 13 October 2017 . 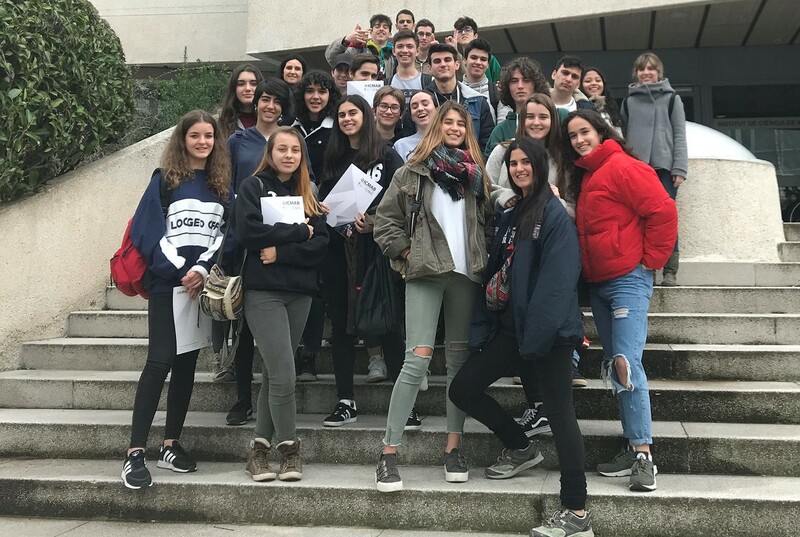 This Friday we had the visit of more than 25 students from IES Consell de Cent(Barcelona), who joined the ESCOLAB programme to visit universities and research centers in Catalonia. Written by jags on 01 August 2017 . Written by jags on 21 July 2017 . El passat 17 de juliol vam tenir l'agradable visita de la Maria Torras, la noia de Manresa que va obtenir la millor nota de la Selectivitat a Catalunya, juntament amb tres altres noies: un 9,8! Written by jags on 28 June 2017 . 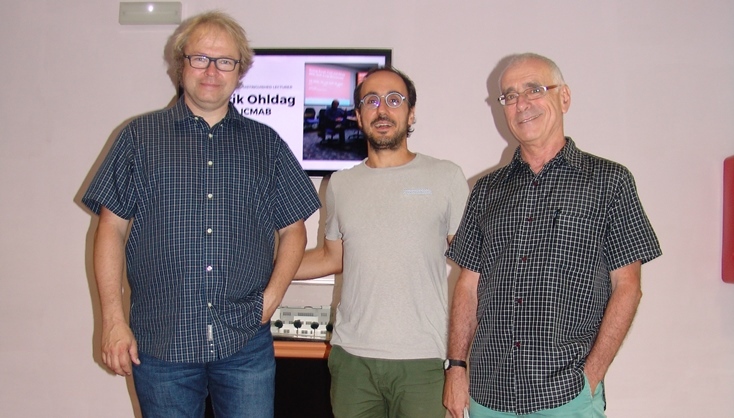 Hendrik Ohldag, IEEE Magnetics Society Distinguished Lecturer for 2017, visited our Institute on June 27 and delivered the talk on "Ultrafast and Very Small: Discover Nanoscale Magnetism With Picosecond Time Resolution Using X-Rays". Written by jags on 27 June 2017 . 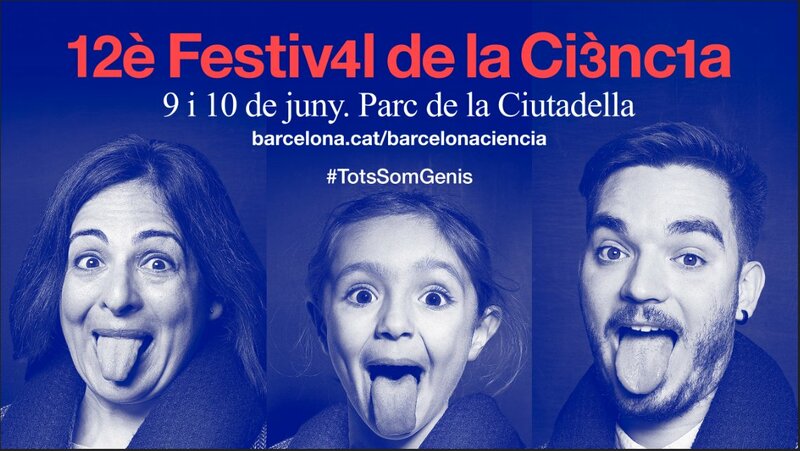 Esther Barrena visita el Centre Universitari de Disseny i Art de Barcelona - EINA, amb l'activitat "Un investigador a la teva aula"
Written by Anna May Masnou on 26 April 2017 . 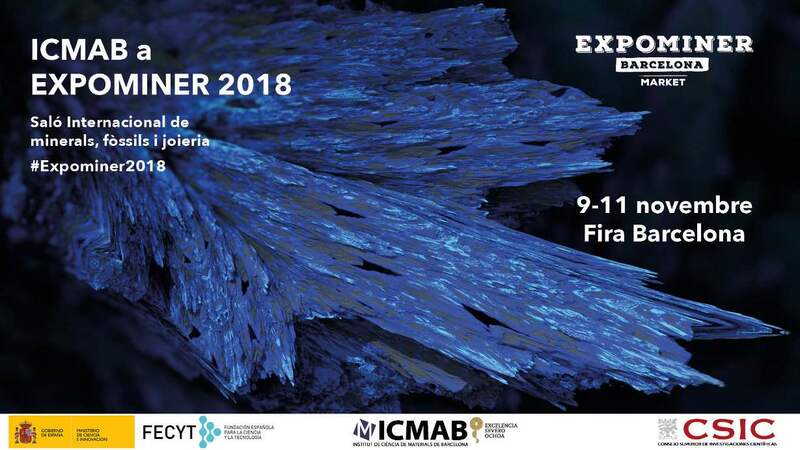 L'activitat de divulgació científica "Un investigador a la teva aula" va portar Esther Barrena, del Group of Physical Chemistry of Surfaces and Interfaces (SURFACES) al centre EINA, Centre Universitari de Disseny i Art de Barcelona, adscrit a la UAB. Written by Anna May Masnou on 06 April 2017 . 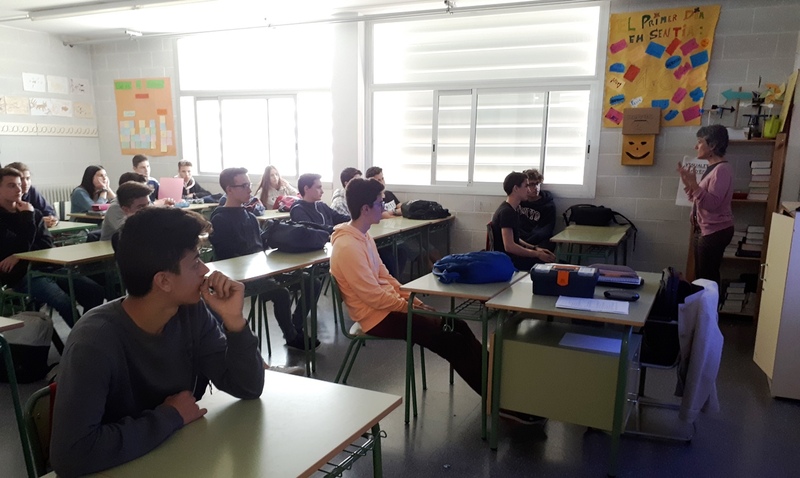 Mariona Coll, from the Superconducting Materials and Large Scale Nanostructures group, visited last week the Secondary school IES La Plana, in Vic, within the program "A researcher in your classroom". Written by jags on 24 November 2016 . 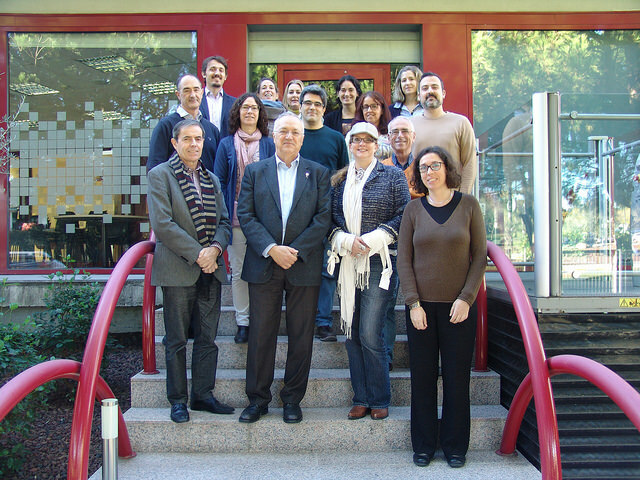 Last 21st – 22nd November, the members of ICMAB’s Scientific Advisory Board (SAB)made their first visit to the Institute to evaluate the different research lines and the overall performance of the Centre. Written by jags on 30 July 2016 . 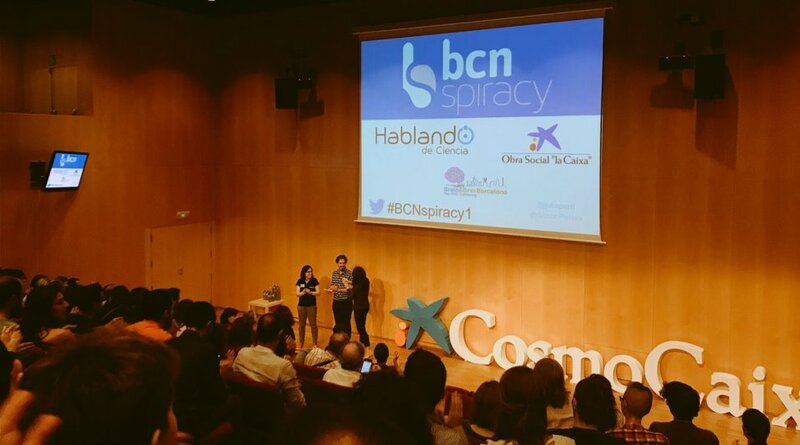 Los jovenes del programa Joves y Ciéncia de la Fundació Catalunya La Pedrera han estado durante varios días en el ICMAB y han aprendido sobre el funcionamiento del centro, sus equipos y su personal. Written by jags on 29 July 2016 . 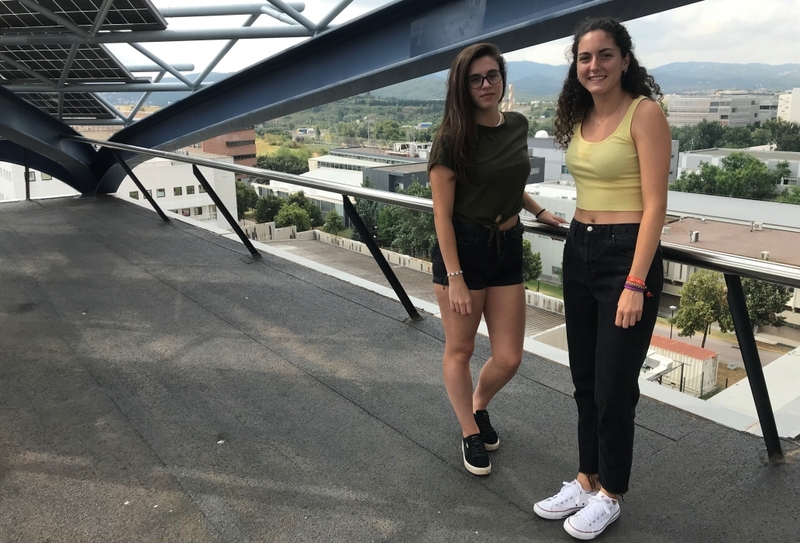 Dos estudiantes que hicieron una estancia en el ICMAB cuando estaban en bachillerato han vuelto después de 4 años para hacer una estancia de estudiantes de grado. 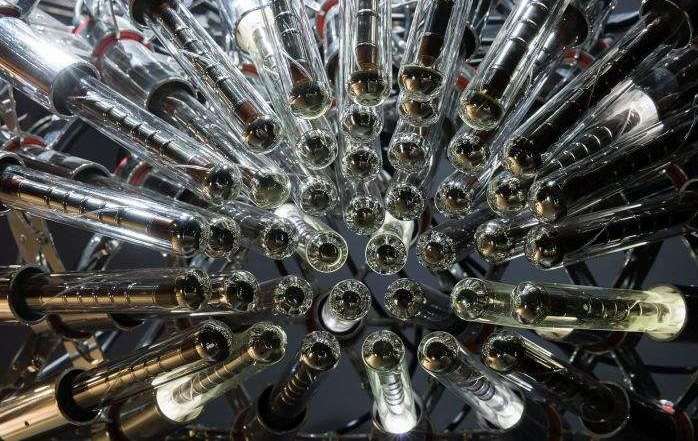 NFFA-Europe project (www.nffa.eu) is the first open-access infrastructure in Europe to perform research at the nanoscale. 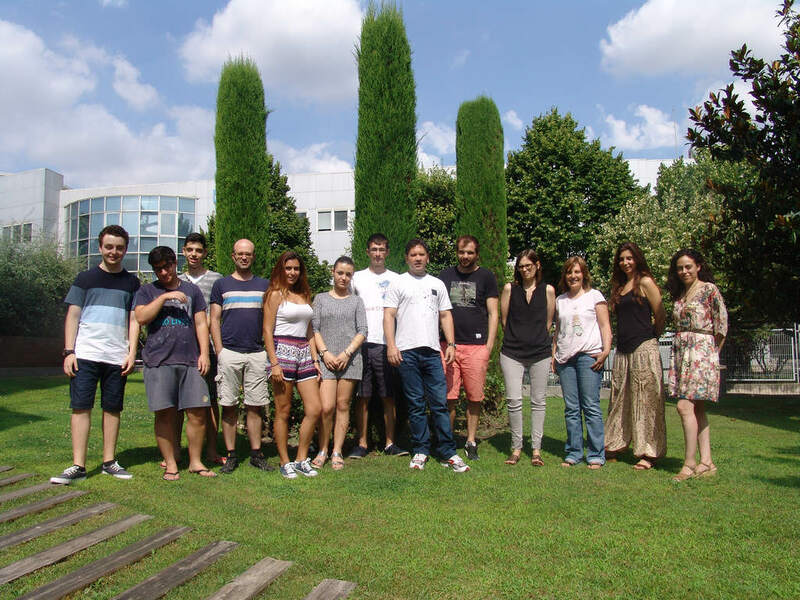 As part of the training activities, a Summer School devoted to "Nanoscience Foundries and Fine Analysis (NFFA), available instruments and techniques" took place at the Engineering School of the Autonomous University of Barcelona (UAB) between 18th and 22nd of July. 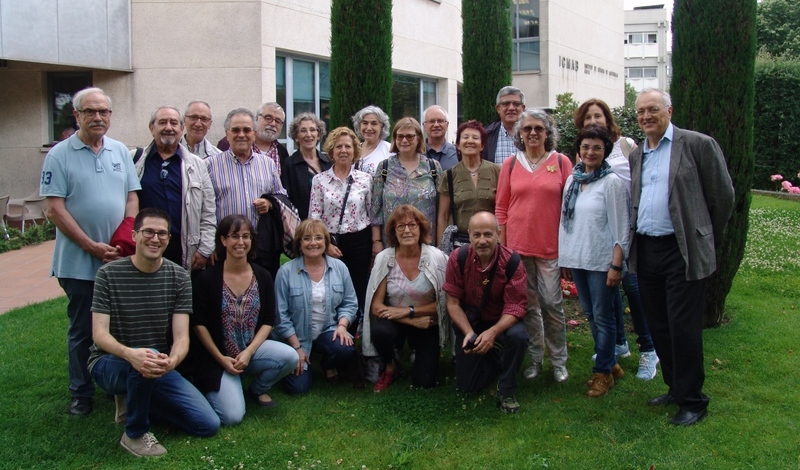 Un año mas hemos acogido en el ICMAB una nueva edición del programa ARGO. 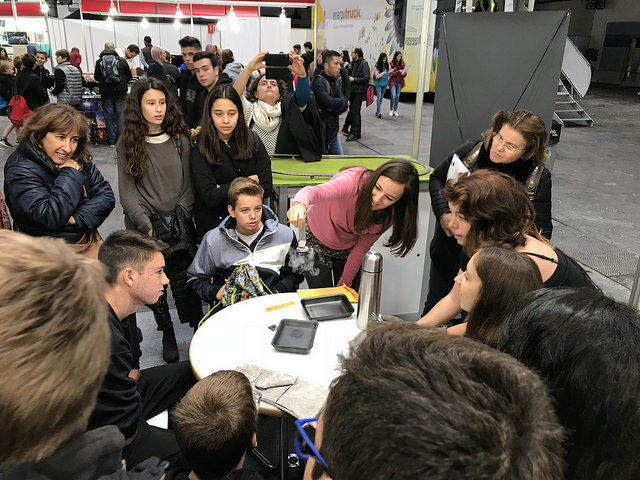 Durante varios días los jovenes participantes han conocido el centro, han trabajado codo con codo con investigadores y han aprendido como es el día a día de la profesión científica. Written by jags on 13 June 2016 . El pasado viernes, 10 de junio, nos visitaron un grupo de estudiantes de la facultad de Material Engineering de la Purdue University (Indiana, USA) acompañados por la Prof. Lia Stanciu y también del Prof. Jean-Louis Marty de la Université Perpignan (Francia). Written by jags on 25 May 2016 . Written by jags on 06 April 2016 . 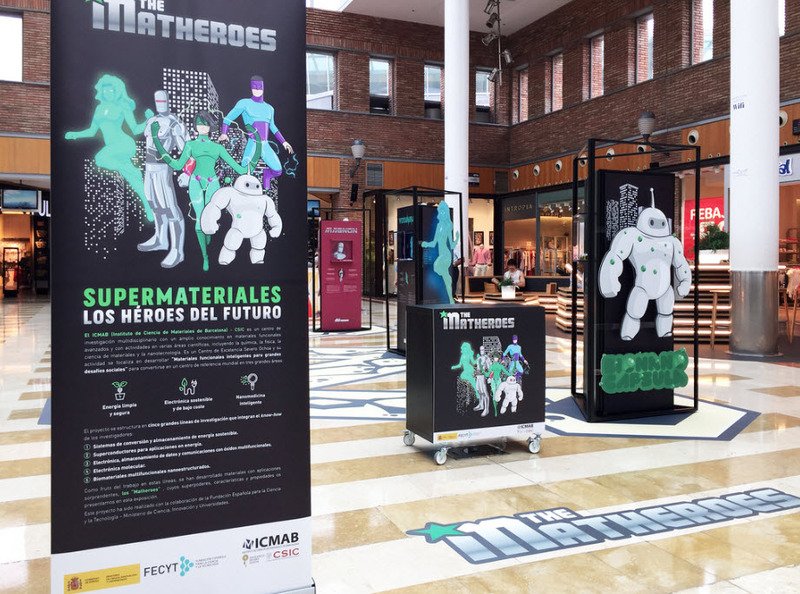 En el último día del Festival 10 a la menos nueveel ICMAB como colaborador organizó una visita guiada a sus instalaciones. 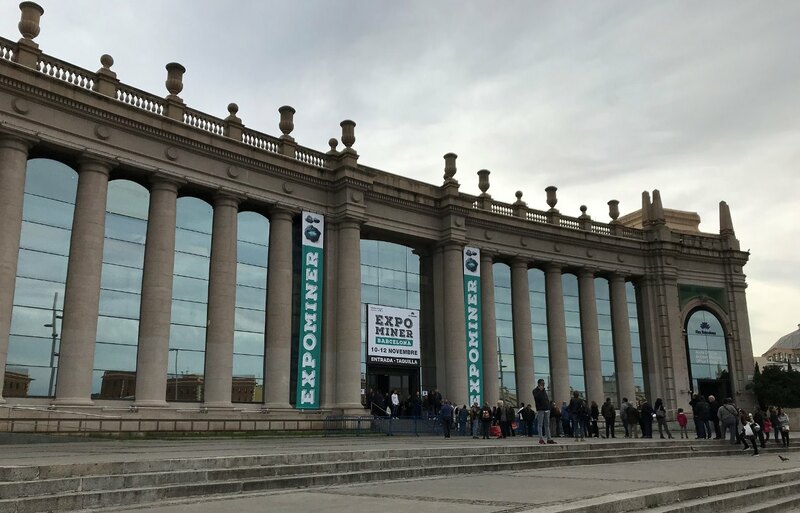 Los visitantes pudieron conocer nuestros equipos técnicos y a nuestro personal, el cual les explicó su funcionamiento y qué ciencias intervienen en las investigaciones de nuestro día a día. Written by jags on 22 February 2016 . El passat dia 18 febrer l'ICMAB va acollir la visita alumnes i professors de l'IE Infanta Isabel d'Aragó. 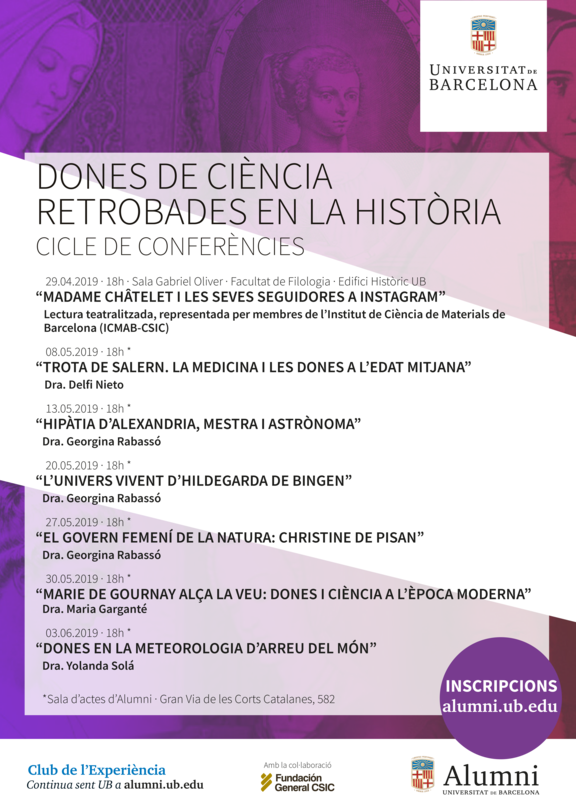 La Dra Núria Crivillers va explicar què és la Ciència de Materials i el gran nombre de disciplines que la integren. Written by jags on 02 February 2016 . 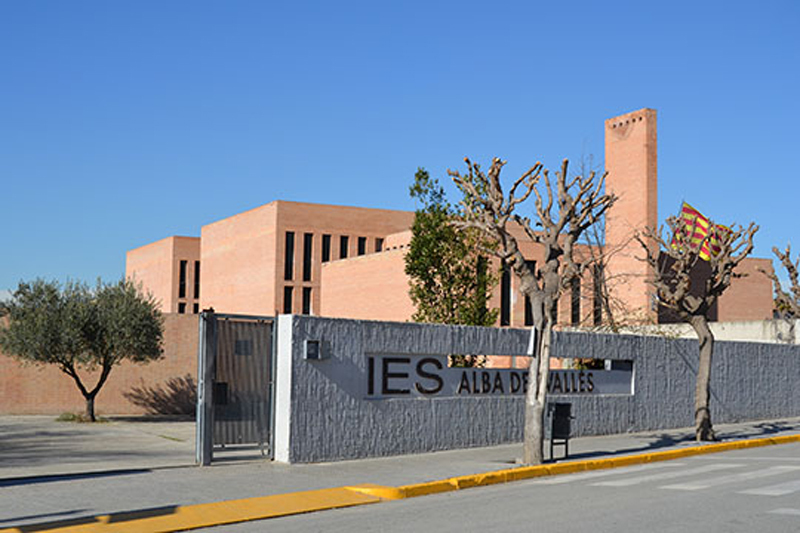 Los alumnos del IES Vall del Tenes visitaron el pasado 27 las instalaciones del ICMAB, quienes junto a sus profesores recorrieron los laboratorios y asistieron a diversas charlas sobre Nuevos Materiales y Seguridad en Laboratorios. Written by jags on 13 October 2015 . Written by jags on 10 July 2015 . Written by jags on 16 March 2015 . 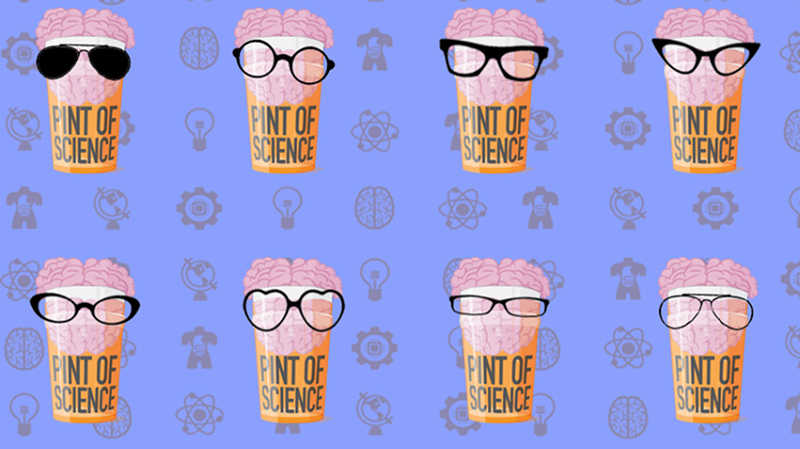 Artículo de Manel Souto Salom en Ciencia para llevar, El Blog del CSIC. Written by jags on 21 January 2015 . 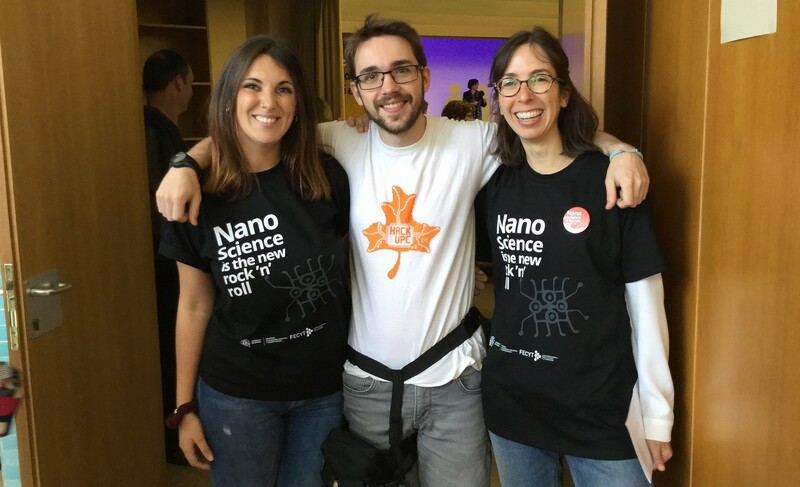 Participante del ICMAB: Gerard Tobias, Markus Martincic y Magdalena Kierkowicz. 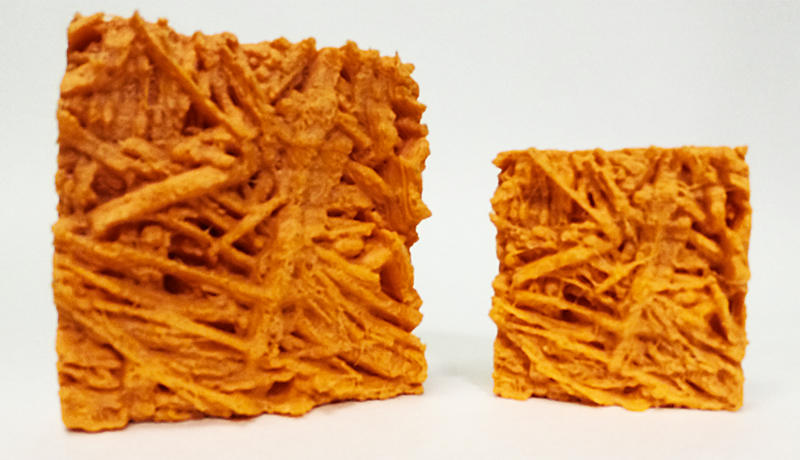 Researchers from the Institute of Material Science of Barcelona – ICMAB – have come up with a simple way to convert nanoscale 3D scans captured using atomic force microscopy into full-sized 3D printable models. They’ve published the process on an easy to follow tutorial using common 3D printing software like Blender and Slic3r. Written by jags on 10 July 2014 . Written by jags on 20 November 2013 . Written by jags on 11 July 2013 . Written by jags on 25 July 2011 . Written by jags on 23 March 2011 . 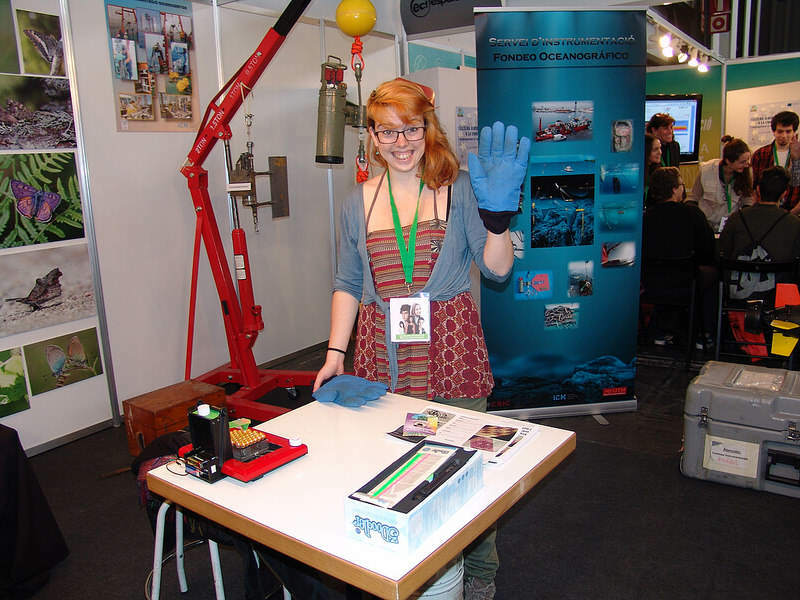 Ha sortit publicat a la revista SMALL, (2011), vol. 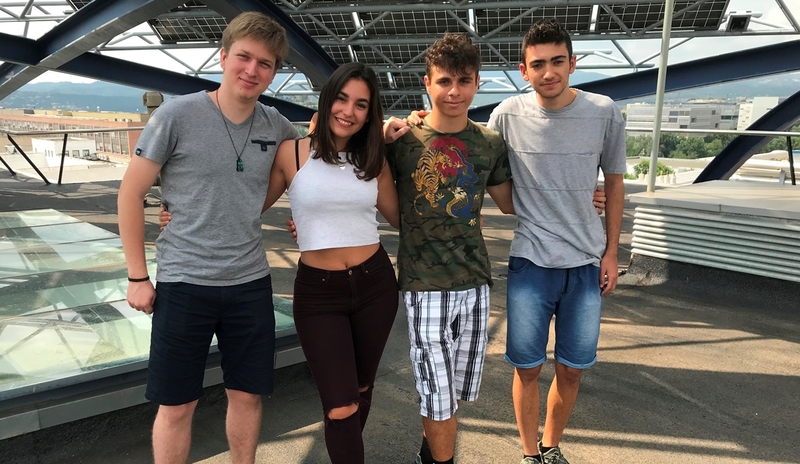 7, pp. 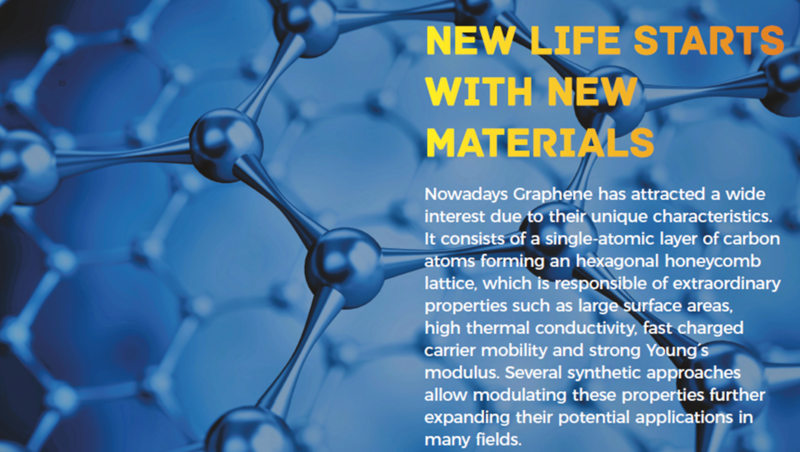 775-780, l'article "Structured Graphene Devices for Mass Transport",del qual es co-autor el Dr. Riccardo Rurali del nostre institut. Written by jags on 17 February 2011 . Written by jags on 19 November 2010 . Written by jags on 29 September 2010 . Written by jags on 11 June 2010 . Written by jags on 14 May 2010 . Written by jags on 12 May 2010 . Written by jags on 03 February 2010 . Written by jags on 27 November 2009 . Written by jags on 03 June 2009 . Written by jags on 19 February 2009 . Written by jags on 18 February 2009 .